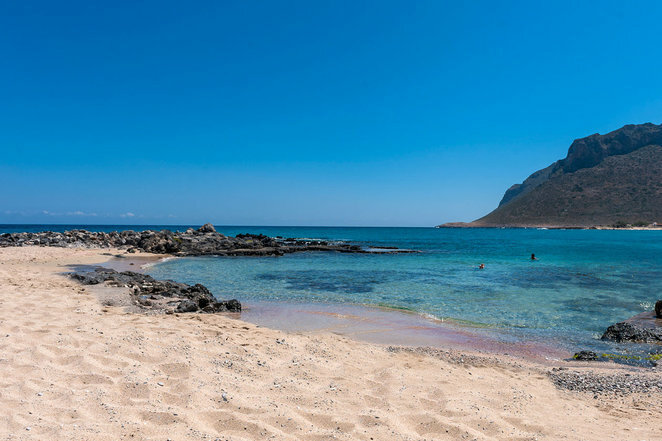 Crete in general is a huge tourist destination; with the city of Chania being one of the most popular locations due to its picturesque old town and harbour, pleasant new town and surrounding wonderful beaches and all that is Cretan, certainly not Cretin! In fact, the food of Crete is healthy and downright sophisticated, as is the way of life on the island - laid back, hospitable, self sufficient and proud. But getting away from the tourist razamatazz is definitely worth it. Not too far away though, as to be isolated from food and transport and ... Cretans! 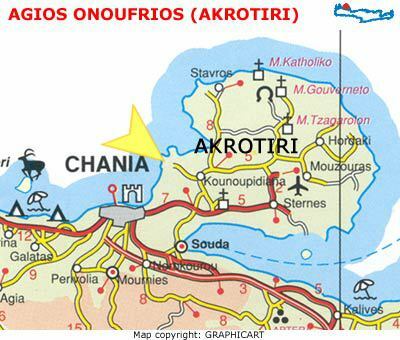 So, let me introduce you to Kounoupidia, a lovely little town of around 6,000 people, 7 kms from the city of Chania, on the Akrotiri peninsula - the place that stretches out on the map of North-Western Crete (see map). The airport is 8kms away, while the port of Chania is about 10kms away. (You get directly to Chania, Crete by plane from Athens, Greece in half an hour, or via ferry from Athens Port Pireaus in 8 hours). Kounoupidiana is a groovy, surreal kind of place - a newish town, which a University (the prestigious Technical University) decorates. You can check out it's campus in its open, airy location, including impressive sea views, like much of the town itself. You'd think that being a student town, Kounoupidiana is loud and bustling, but that's the beauty of it - it's not, as Chania close by has all that party stuff. Kounoupidiana is quieter, with just 3 or so cafes and bars, the same amount of restaurants (or tavernas) serving great local food, as well as 3 big supermarkets for self catering. There's even a British mini-market that sells pies and pasties, I swear! Yes, it even sells Marmite - sorry, not the superior Vegemite. Oh, and in the main street of the town there's even an old red, real English phone booth! Trippy, huh?! Now as for beaches, there's top notch ones all over the place. 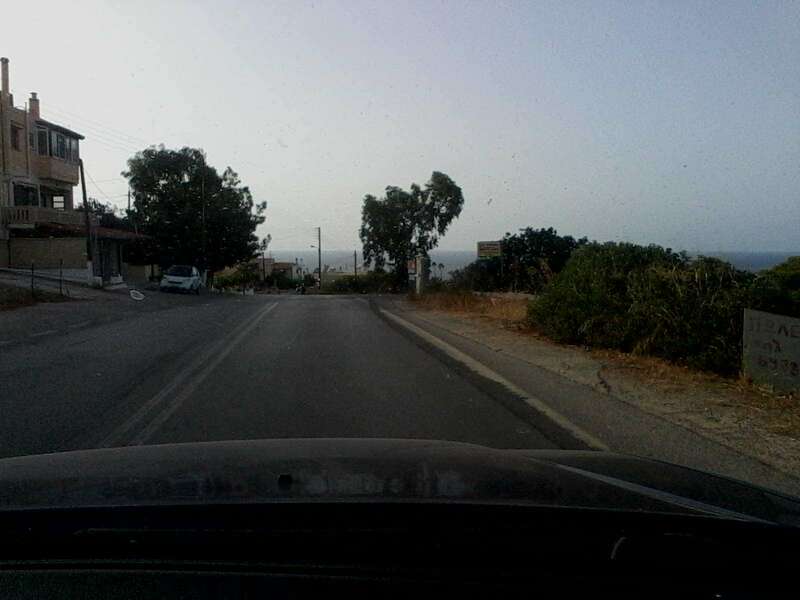 Choose your circuit - 2 kms away, 4 kms away, or the gorgeous Stavros 9 kms way, bus, taxi or walk it. There's also a great cafe nearby, called the 'Owl' (about 3kms from the University), with a magnificent view of the town of Chania and it's port and sea coast. This exquisite cafe is open early till late, all views at all times superb, including at night with the twinkling lights. 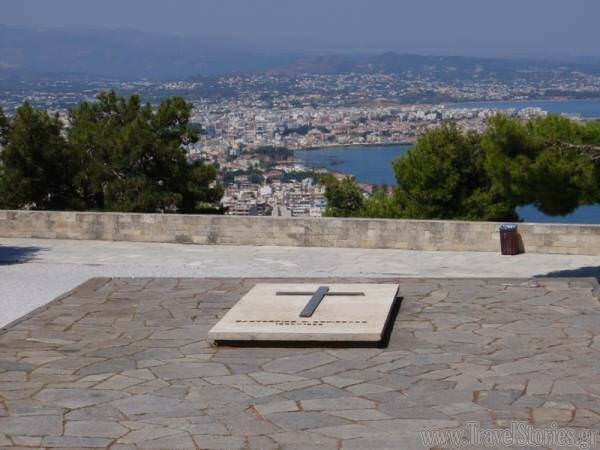 And nearby is the tomb of the famous Greek freedom fighter Venizelos. The tomb is again in a picturesque place within neat gardens. There are two eye-pleasing hotels in Kounoupidiana, plus many others in Chania and in between. So, when you go to Chania, it's well worth at least few days stay in the place with the funky name and character - Kounoupidiana.